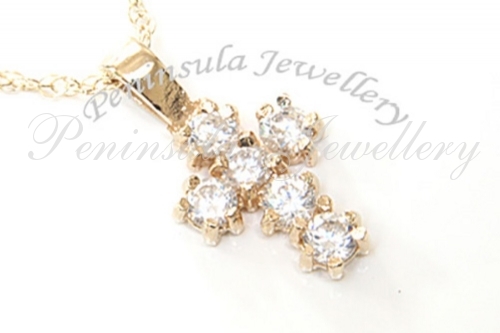 Classic cross pendant, hand set with six 2.5mm Cubic Zirconia gemstones. Dimensions: 8mm wide, 17mm long (including fixed bail). 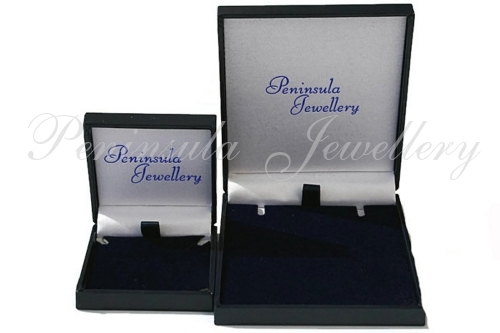 Supplied with an 18" 9ct gold Prince of Wales chain and presented in a luxury gift box. Made in England.